CHAUVET DJ showcased the latest fixtures designed for mobile entertainers during The NAMM Show in January. Attendees flocked to the booth to see the new Core series of pixel-mapping fixtures. The new Core series, which includes Core 3x3 and Core 3x1, combines pixel mapping, a blinder effect and a powerful LED wash into one fixture for the ultimate in versatility. The fixtures allow you to combine multiple units for an impressive array of large scale animations and chases in any application. 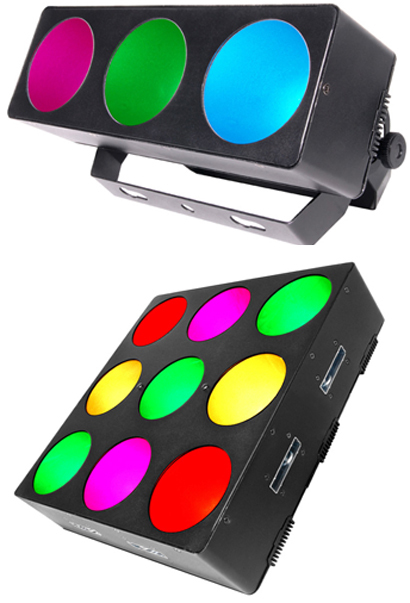 Powered by individually controllable tri-colour (RGB) LEDs with chip-on-board technology, it utilises a unique reflector cup to produce large pixels of light and create intriguing sweeping and chasing effects.